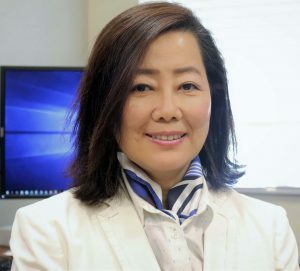 Dr. Hee Yun Lee, associate dean for research and Endowed Academic Chair in Social Work (Health) and professor, has been named to the 2019 Class of Fellows of the Society for Social Work and Research (SSWR). SSWR Fellows are members who have served with distinction to advance the mission of the Society — to advance, disseminate, and translate research that addresses issues of social work practice and policy and promotes a diverse, equitable and just society. Dr. Lee is a behavioral health scientist and her major research areas include health disparities, behavior change intervention using RCT, and rural health. Combining mobile health (mHealth) technology and a community-based participatory research approach, she is developing and testing intervention programs to promote positive health behavior change and to increase health and mental health literacy. Her integration of mHealth technology and existing health behavior theories into intervention strategies provides an opportunity to investigate technology-driven intervention’s potential to help self-management for chronic diseases and prevention in typically underserved and difficult-to-reach populations. A text message-based intervention study funded by the National Cancer Institute (R21) that aimed to increase Pap test and HPV vaccination in a minority group. A mobile-app based intervention to improve a mammogram uptake among an immigrant women group funded by the Susan G. Komen for the Cure Foundation. The intervention outcomes revealed mHealth as a promising intervention tool to positively change cancer screening and prevention behavior. Her other area of research is global health. 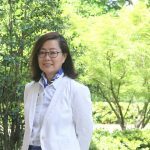 She is currently conducting numerous studies working with a transdisciplinary team in the areas of aging and chronic disease management including dementia prevention and management, frailty cohort construction, and mobility intervention for older adults in Korea. Her work has been widely published in medical, public health, nursing, and social work journals, and she has been invited to speak at numerous national and international conferences and universities. The SSWR Fellowship honors and recognizes current SSWR members for their individual accomplishments, leadership and contribution to SSWR as a scientific society. As a SSWR Fellow, Dr. Lee will serve as role model and mentor for individuals pursuing careers in social work research and will continue to actively advance the mission of the Society. Dr. Lee was recognized Jan. 19 at the SSWR 2019 Annual Conference in San Francisco, California.